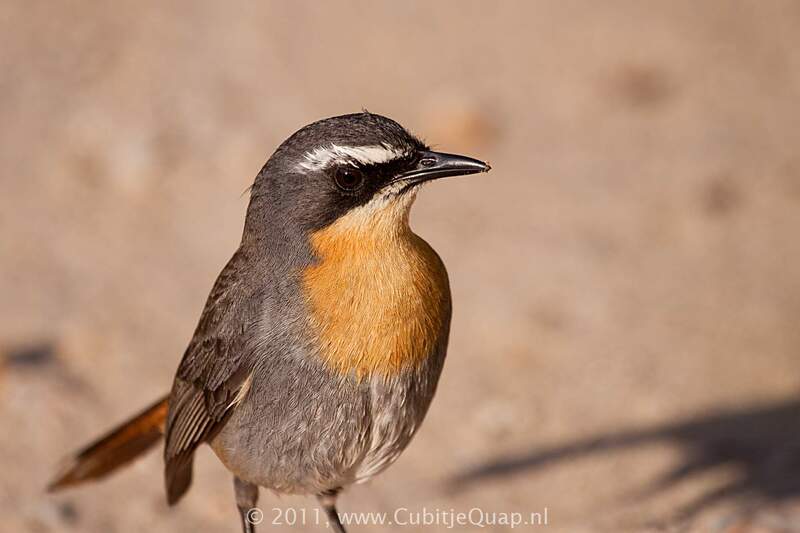 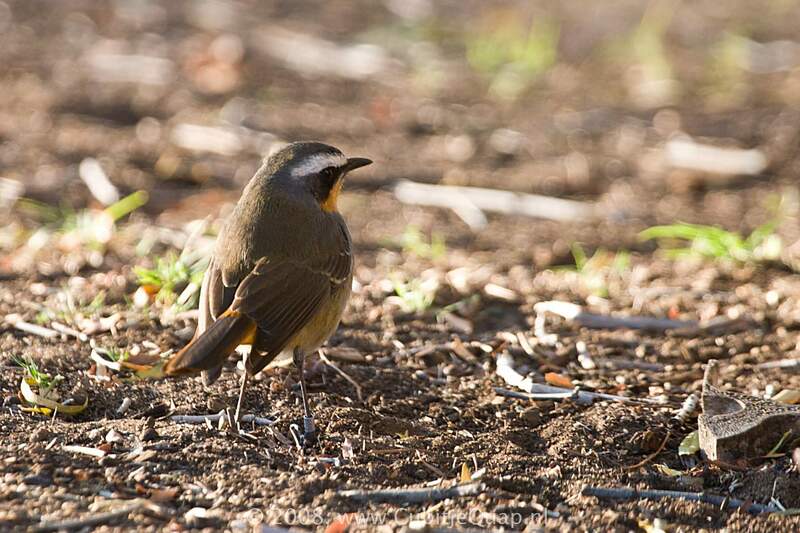 Best distinguished from White-browed Robin-Chat by its shorter white eyebrow stripe, and by the orange on the underparts being confined to the throat and upper breast; the rest of the breast is grey, and the belly and undertail coverts are tawny orange. 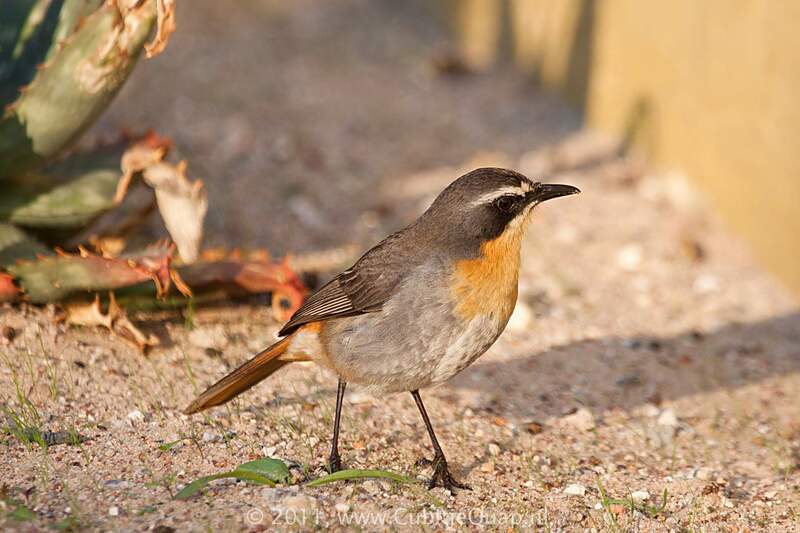 Juvenile is brownish and heavily mottled with buff and black; it has a red tail with a dark centre. 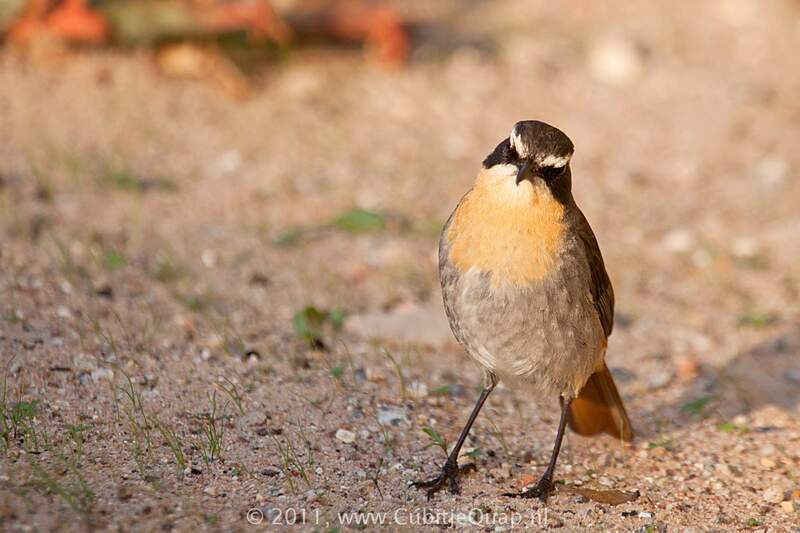 Forest edge, bushveld, scrub and fynbos, gardens and parks.